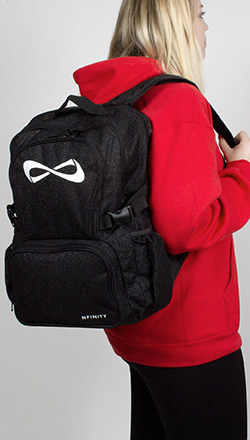 This lightweight Sparkle Backpack is a must have to get you through the rigors of school and traveling on the road in style. This stylish pack features padded shoulder straps, 4 compartments, a padded laptop sleeve, and stylish detachable purse adhered to the front. Talk about the perfect bag!